Going through the work of Morse Studio, I notice that they pay very close attention to minor details. Their work has a certain quality to it that makes it all feel very luxurious, and the textures of the paper stock they select really make the pieces shine. Excellent work by this London based studio. 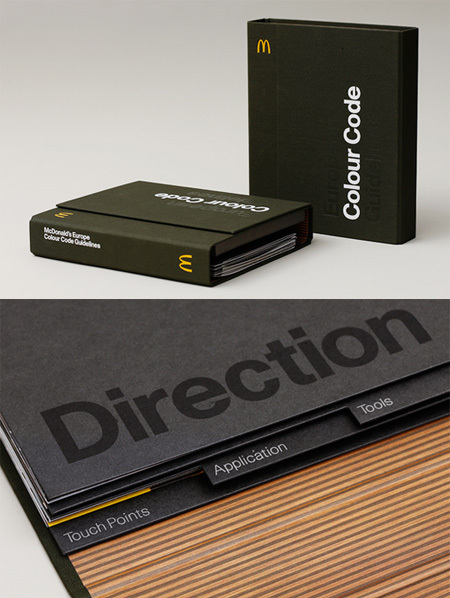 2 Comments on "Morse Studio"
I’m liking the new look for McDonalds but I love the brand book more.